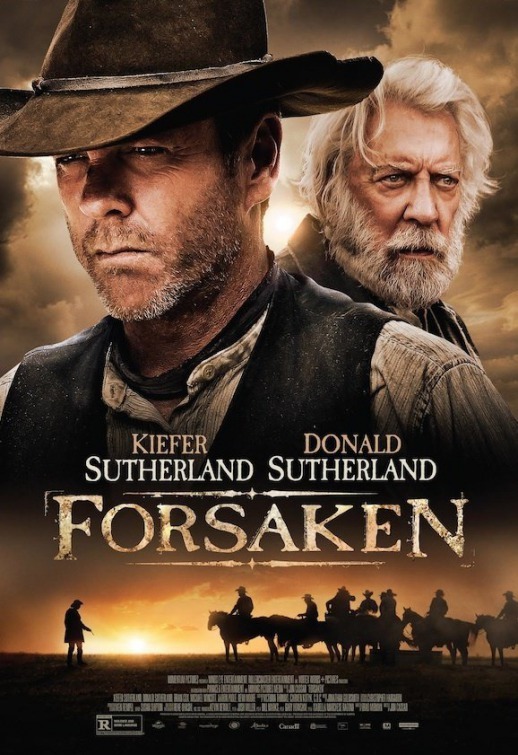 A posse embark on a rescue mission into the wilderness of the Wild West but bandits are the least of their problems when faced with the cannibalistic captors. Director/Writer S. Craig Zahler crafts an enjoyable mature low key Western romp with graphics scenes (including dismemberment, disembowelment stabbings and gunfights) lettered throughout especially in the closing. The cast on fine form as a sheriff (Kurt Russell), his deputy (Richard Jenkins), a gun slinger (Matthew Fox) go about rescuing a cowboy’s (Patrick Wilson) wife from – in a twist of sorts Neanderthal troglodytes. Russell is perfectly cast, with his look, straight talking gruff tones fitting a role he can do in his sleep, here though there’s something heroically poignant drenched in his character. 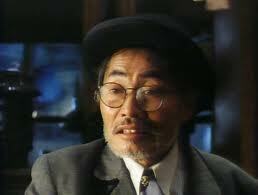 Similarly, Brooder, Fox well dressed in white cowboy has a back-story which pulls no punches and is intriguing. Its character driven with some candid dialogue that cements your care for the characters, Jenkins particularly shines as the aged widowed deputy, Russell and especially Fox are memorable. Zahler offers a novel twist on John Ford’s The Searchers. There’s a sense of scale and a lived in feel in his vision. The genuine attention to period detail reinforces the narrative. It’s dusty, picturesque (with cinematography from Benji Bakshi) but it also offers a over shadowing sense of impending doom and violence as the unlikely group of men go on a journey of survival and danger. The special effects are finely executed, wince inducing and leave an impact. Like producer/director Jack Heller 2011’s of Dark Was the Night the whole thing is low key and even with the characters having dynamite at the ready Zahler doubling duties as writer satisfyingly avoids the Hollywood explosive clichés. 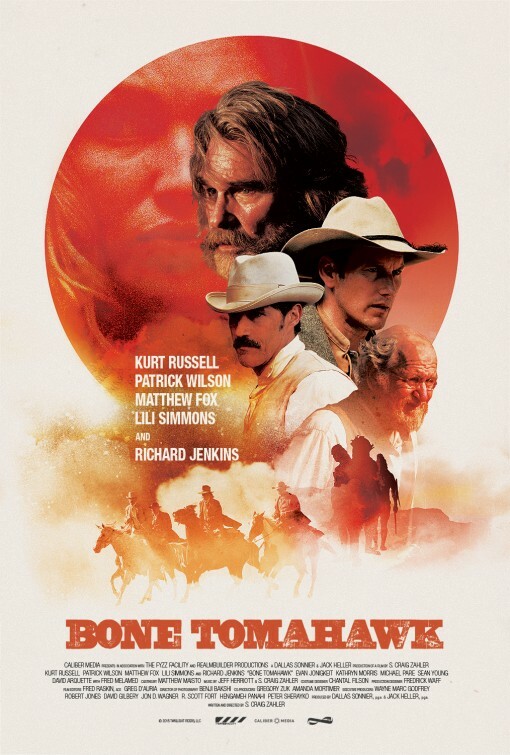 Bone Tomahawk’s slow-burning story complements the gripping performances and as a smart horror Western its highly recommended. A drifter is left for dead and returns to the town that wronged him and his dog. After a spate of disappointing low budget westerns including two featuring Scott Eastwood, In the Valley Violence is entertaining crafted with care. While it’s no Hateful 8, Unforgiven or Tombstone to name a few, known for his atmospheric horrors director Ti West offers a solid off beat modest Western. With opening credits that are reminiscent of Sergio Leone’ Dollars trilogy and story beats which echo, John Wick and Rambo, West offers a Western in the vain of High Plains Drifter. It’s a dusty grim dead silver mining town, there’s no hustle and bustle. It’s a low key affair with a small cast including John Travolta as a tough mediating marshal who steals the show. Burn Gorman is notable as an intoxicated Priest. Ethan Hawke’s Paul is quite fleshed out, wanting to forget his past and get to Mexico. His dialogue with Taissa Farmiga’s Mary-Anne rings true. It’s really a James Ransone’s Deputy Gilly Martin versus Hawke’s Paul rather than Travolta versus Paul yarn. Abbie (Jumpy) the dog deserves a mention. Karen Gillan is worthy of note along with Eric Robbins’ cinematography who masterfully frames the makeshift town. Although past West collaborator Jeff Grace’s score can be intrusive it oddly works better when it’s not channelling Ennio Morricone. Bloody and violent in places with a few shoot outs, a hanging and slit throat, Grace along with West build some effective tense moments and to Ti’s credit he also offers some humour that gives In a Valley of Violence a refreshing push. It’s a pity that West’s marked as an army deserter Paul, didn’t emulate the Man With No Name rather than try hard to avoid clichés as the homage in context of the tale may have elevated the story more and satisfy fans looking for a resurgence of the Eastwood style. While it’s paint by numbers stuff and won’t shake the genre, it utilises the emptiness in contrast to the big budget Westerns and wisely makes the small cast ensemble and empty town part of the story. Recommend. A blizzard forces a group of four to take shelter at Minnie’s Haberdashery where they encounter four more strangers. With betrayal and deception, the eight strangers realise they may not make it to destination, Red Rock, after all. The Hateful Eight offers impeccable framing, mountain landscapes, opening with a snow covered statue of Jesus. This film is all about justice and executions. The film is broken up with synonymous Quentin Tarantino chapter title cards. With Outlaw Josey Wales and Spaghetti Western coolness mixed with Tarantino seemingly nonchalant, yet, diligent story telling The Hateful Eight partly plays out like a heavyweight Cluedo mystery. Escaping an impeding blizzard menacing Russell known as the Hangman and bounty hunter outlaw Samuel Jackson ooze charisma and the whole cast clearly enjoy the wordplay. With its few locations (Reminiscent of Reservoir Dogs), as the group are isolated at a stagecoach passover (incidentally including Dogs’ actor Tim Roth) it’s mostly reliant on the actors talents and script. There’s notably interesting flashbacks and a midway 4th wall voice over which brakes the confinement of the film up. Thankfully, the planets are aligned and all the elements like a jigsaw puzzle fit together in Tarantino’s favour. Ennio Morricone score is perfect, but Tarantino also slips in a track and later a song performance (by an almost unrecognisable excellent Jennifer Jason Leigh) which surprisingly work considering its a winter set Western. There’s a fanboy moment in a snowstorm where they stake guide rods and Ennio’s score pulses harking back to the remote beats and paranoia of The Thing. It has a small cast ensemble. As the opening credits run anyone with an appreciation of film will have a inclination it’s a Tarantino film simply by its tight casting, from classic to cult actors. Many he has already worked with and some he’s prompted a deserving career revival. Samuel L. Jackson is outstanding with his Sherlock-like prowess. Walton Goggins is particularly notable. The supporting cast are great and include the likes of Zoe Bell, (surprisingly seriously good) Channing Tatum, Michael Madsen (also of Reservoir Dogs) to name a few. It’s a fine production, packed with seemingly period authenticity, excellent costumes, props, right down to the mutton chops and facial hair. There’s plenty of historical social commentary, modern mirroring subtext and choice language that intentional or not will no doubt cause ears to prick up as the array of characters interact. Cinematographer Robert Richardson, who has worked with Tarantino on various film along with the naturalist lighting and setting gives the proceedings visual weight. Lincoln letters, horse carriages, shootouts, it’s gritty, violent, hard hitting packed with punchy dialogue driven scenes. 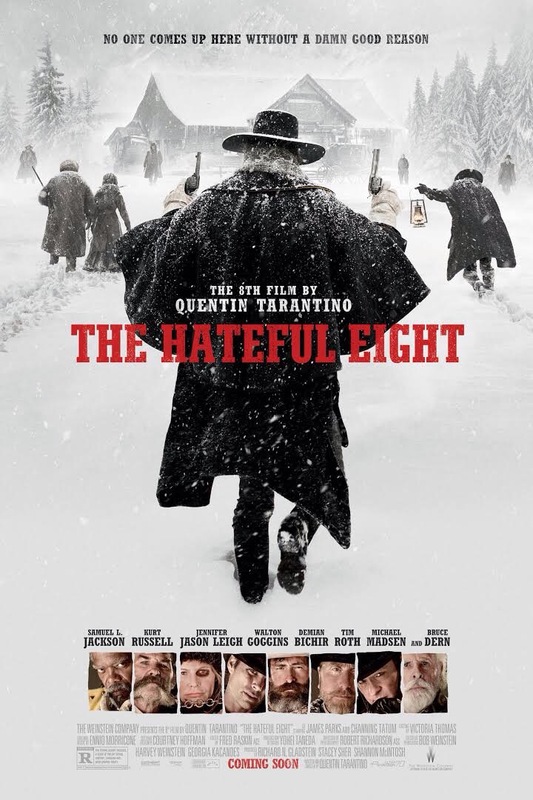 It’s edgy, naturalistic with poisoning, double crosses, twists and turns synonymous with Tarantino’s back catalogue. There’s also a memorable gross out scene with sick and blood, also severed limbs courteous of make-up veteran Greg Nicotero. There’s exploding heads and when the tension builds and shoot outs happen they have a brutal impact. There are great character arcs and development but debatably Russell and Roth steal the show. It’s undeniably talkie but with plot surprises, fine performances and sharp writing, if you like Tarantino’s trademark style and Westerns in general it’s doesn’t get much better than this. Set in the year 3031 on a frontier planet light years away from Earth, a bizarre gang of desperadoes set on turning the tumbleweed town of Oblivion into their own private haven. 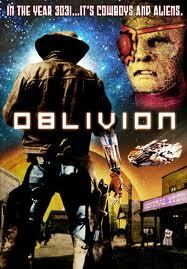 Made nearly 20 years before the pretentious Cowboys and Aliens Oblivion is an obscure FullMoon nugget. Although the costumes and sets appear cheap they’re fitting enough in this outlandish western futuristic alien tale. 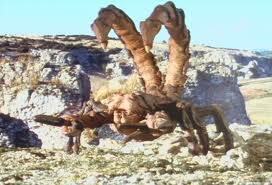 Despite the offbeat humour and pacing director Sam Irvin gives us forcefields, cyborgs, fistfights, spaceships, guns, gadgets and giant Harryhausen- like scorpions. Oblivion is an 90s film with and 1980’s b-feel and 70s stock soundtrack heart. The ‘Biff Tannen’ villain Redeye played by Andrew Divoff makeup is effective. There’s an odd mix pop-culture cast including Batman’s Julie Newmar, Star Treks George Takei, singing legend Isaac Hayes, Master of the Universe and They Live’s Meg Foster to name a few. There’s also a leather-clad whip sporting Musetta Vander who looks particularly fetching. If you like B-films and enjoy the unlikely list of genre crossovers Oblivion is the closest you’ll get to a live action BraveStarr. The wild desert planet of Oblivion, bounty hunter Sweeny is search for a saboteur and all hell breaks out in town when the mark strikes a deal to control the mining of Derconium. Backlash, is padded with a lengthy title sequence and a seven-minute round up of the FullMoon original Oblivion but still crams in plenty of what looks like made for TV action, as the Lash (Musetta Vander) joins with Jaggar (again Andrew Divoff) evil twin of reptilian Redeye. There’s a barrage of flimsy in-jokes (Star Trek’s George Takei flashing the Vulcan greeting) Meg Foster, Julie Newmar, Isaac Hayes and the rest of the original cast return (as the films were conveniently shot back to back). There’s a new addition Maxwell Caulfield as Sweeney but like its predecessor Vander steals the show. Director Sam Irvin delivers more campy Western, Science Fiction fun but you have to be a lover of B-films to enjoy.